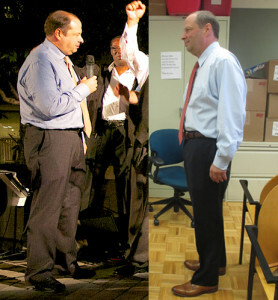 I had gotten to a weight that was making me miserable – 193 pounds! Comments from people were all too frequent and my health was declining. I had terrible back pain, I couldn’t sleep well and I was always tired during the day. I believed it was all attributable to my carrying too much weight. I didn’t want to look in the mirror or step on a scale. I decided to become a Fat-Burning Machine because simply put – I had finally had enough. I had seen the positive impact of the Fat-Burning Machine diet and exercise program had with a friend and it made sense for me to give it a try. For me it has been a comprehensive life-saving program that incorporates better eating and better exercise into my life. I wouldn’t say it’s a diet, or an exercise program, it is a new way to live your life. I am happy to report I dropped almost 20 lbs in just under two months. I kept at it and now I’ve lost 31 pounds and I’m happy to weigh 162. My energy level is through the roof and I’m experiencing far less back pain. In short, the path that the Fat-Burning Machine program has put me on is a guide for the rest of my life. I can’t believe I didn’t do it sooner and I’m never going back to that other way of living. A price most are willing to pay.